4in BCP - Portable Full Folding Topper Gray Mattress. BCP SKU: SKY2759. This folding mattress topper is made with firm, CertiPUR-US certified, high-density foam that molds perfectly to your body. Great for use as a guest bed, floor sofa, or even a more comfortable bed while camping, it blends comfort with utility for quality rest whatever the occasion! 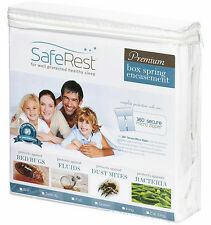 Snug fit and easily removable fitted sheet-style stretches to fit mattress securely. · Fits up to a 22" mattress in Twin, Full, Queen, King, Twin Extra Long Deep, California King, Split California King. 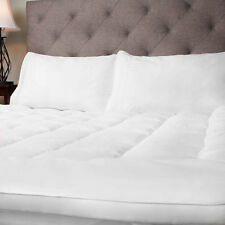 Fieldcrest Luxury Plush Mattress Pad W/ Alternative Fill For Twin Size. Condition is New with tags. 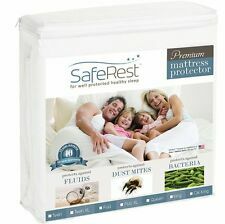 #1 BEDBUG MATTRESS ENCASEMENT!! ALSO FITS BOX SPRING!! Machine washable, 100% latex free. This mattress cover fits a twin size mattress. Add a layer of comfort to your bed with the Beautyrest Convoluted Foam Topper. The supportive foam cradles every part of the body to help relieve pressure points, so you sleep comfortably all night long. BCP SKU: SKY2759. Best Choice Products 4in Thick Folding Portable Full Mattress Topper w/ High-Density Foam, Washable Cover - Gray. This folding mattress topper is made with firm, CertiPUR-US certified, high-density foam that molds perfectly to your body. Make sure you always get a good night's sleep with the Therapedic 500-Thread Tencel® Lyocell Mattress Pad. 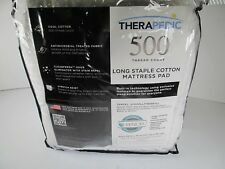 Use the Therapedic® 500-Thread Count Mattress Pad for maximum comfort every night. Stain repel treated fabric. Did you know that a Cool Shield mattress protector is hygienic and provides health benefits for the whole family - particularly children?. Our non allergenic waterproof mattress protector has been designed with fluid-proof technology and extra thin premium cotton terry. 2 - Madison Bamboo Waterproof Mattress Protectors Twin 39"x75"+14 & Full 54"x75"
Quantity : 1 Twin Mattress Protector and 1 Full Mattress Protector. We do our best to describe these as best as possible. Again all are new and unused. 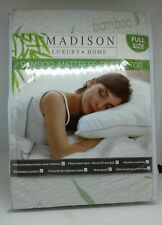 LUCID 2 INCH SOLID FOAM MATTRESS TOPPER, VARIOUS SIZES, 3 YEAR WARRANTY, BNIB ! !